This is the same ladder you see on one of those home shopping shows. I can tell you it’s amazing, but not nearly as light as the gal toting it around on the commercial would have you believe. This thing has some weight behind it. I should know because I have lugged it around to trim a giant Ash Tree (or as we liked to say. “Our big-ash tree–say it fast and you’ll understand why we would laugh). Have the right ladder for the job every time with the RevolutionXE multi-use ladder from Little Giant. 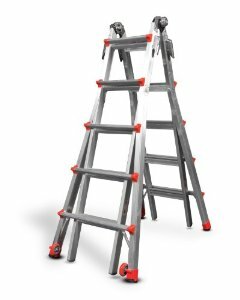 This professional-grade ladder system features a convertible design that allows it to be used as an A-frame ladder, an extension ladder, a staircase ladder, a 90-degree ladder, or a trestle-and-plank scaffolding system. The aluminum construction and Quad-Lock hinge offer stability, while the Rock Lock makes it easy to adjust the length. The RevolutionXE is up to 20% lighter than the leading competitor, but has a 300-pound rating and is available in three different models that offer 24, 33, and 43 unique configurations. The versatile Work Platform fits on the rungs of any Little Giant multi-use ladder and is rated to hold up to 375 lbs. Use it as a tray for a paint bucket or tools, or use it as a sturdy, comfortable standing platform. Now you can stand on your ladder for extended periods without sore feet and bruised shins; you can work with both hands in any direction. 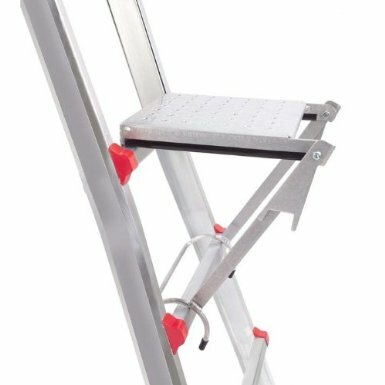 The Work Platform’s unique design also makes it easy to store inside your Little Giant ladder so you won’t have to worry about losing it. The Work Platform also serves as a stabilizing spreader bracket for your Little Giant’s trestle-and-plank scaffolding system. I love that platform; it saved me many a trip up and down the ladder when we were repainting our house interior with vaulted ceilings. The ladder also comes with a lifetime warranty. If you click on the ladder link and scroll down, there are several pics of how you can use the ladder. I have used it to get to the roof, to paint those tall tall walls and ceiling and to trim trees like an arborist. We have also used it to hang Christmas lights outside without worrying about ladder stability. It has paid for itself over and over and I expect it to continue to do so. If you’re wondering what to get your dad and want to blow him away, this will do the trick. Unless, he hates ladders, then go with the Tactical Apron instead. If he doesn’t grill? Time for you to pony up and take the man to dinner. After all, he taught you everything you know. That’s the biggest ticket gift ever. what a terrific gift idea! Good morning, You have a very lovely blog. 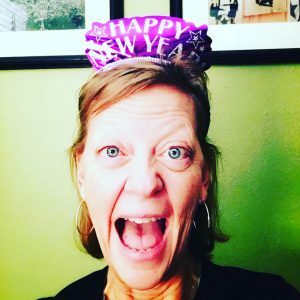 I am a new follower via BlogLovin from the blog hop. Also if you have a chance I am struggling to get my free-standing Online Shop going. Please stop by and like, tweet etc. Any help I can get is greatly appreciated. Thanks for stopping by and for the sweet comment. Good luck in your business!